According to Jewish tradition, Tisha B’av, the saddest day of the Jewish calendar and a fast day, will be transformed into a joyous feast day in the Messianic era. Some rabbis argue that the day for this transformation has arrived. Tisha B’Av, the ninth day of the Hebrew month Av, begins on Friday evening and ends on Saturday evening, Tisha B’Av is normally observed as a fast day commemorating the destruction of both Jewish temples but since it is generally forbidden to fast on the Sabbath, the fast will be postponed until Saturday evening, ending on Sunday evening. Within the sadness Tisha B’Av are planted the seeds of joy that will appear in the Messianic era, as described by the Prophet Zechariah. According to tradition, the Jewish Messiah will be born on the ninth of Av. According to the laws pertaining to fast days that were established after the destruction of Solomon’s Temple, these days were celebrated as joyous holidays during the construction of the Second Temple and will be celebrated again in the Messianic era when the Third and final Temple will be built. But now that the Jews have returned to Israel and so many aspects of the final Redemption have appeared, some rabbis are asking if it is still necessary to fast on Tisha B’Av? 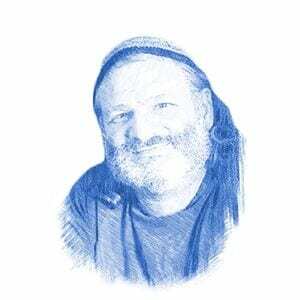 Rabbi Yoel Schwartz is one of the most respected Torah scholars of this generation, a prolific writer, winner of the Moskowitz Prize for Zionism, and a member of the nascent Sanhedrin. When asked whether it is necessary to continue to fast on Tisha B’Av he responded with a surprising question. “Is it permitted to fast on Tisha B’Av in our times?” Rabbi Shvartz asked. The rabbi cited a prophecy in Zechariah describing the Messianic era.. The rabbi noted that the question is even more pressing this year when the fast is postponed and does not even fall on the day commemorating the destruction of the Temples. Rabbi Schwartz ruled that Jews should continue to fast on Tisha B’Av. 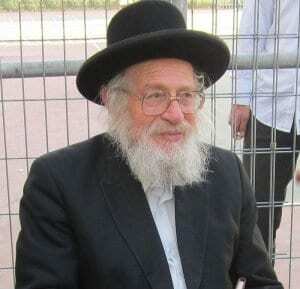 “The main aspect of my fasting and mourning has to do with another tragedy: the destruction of the Jewish community in Gush Katif,” Rabbi Shwartz said, referring to the unilateral withdrawal by the Israeli government in August 2005 from Gaza. Seventeen Jewish settlements were destroyed, leaving almost 10,000 Jews homeless. Ironically, the day chosen by the government to carry out the eviction was the day after Tisha B’av, the tenth of Av, the day on which the Jews are actually fasting this year. Rabbi David Katz, an author and teacher, has a unique perspective on Torah. He believes that Torah law was adjusted over the last 2,000 years, taking into account the conditions and needs of Jews living in the exile. Rabbi Katz noted that after the return from the Babylonian Exile, Tisha B’av was celebrated joyously despite the Second Temple not yet being built. Rabbi Katz emphasized that we are clearly in the Messianic era right now, making the question relevant. He referred to a two-stage Messiah as described by the 18th century Rabbi Elijah ben Solomon Zalman, known as the Vilna Gaon. The Vilna Gaon, a leading Torah authority in his time, taught extensively about the Messiah and these teachings were recorded by his student, Rabbi Hillel Rivlin, in Kol HaTur (Voice of the Turtledove). The first stage of the messianic process, named Moshiach Ben Yosef (Messiah from the house of Joseph) is described as practical, social, and mundane. This is the precursor to Moshiach Ben David (Messiah from the house of David) which will be miraculous and include the reinstallment of the Temple service and the Davidic Dynasty.